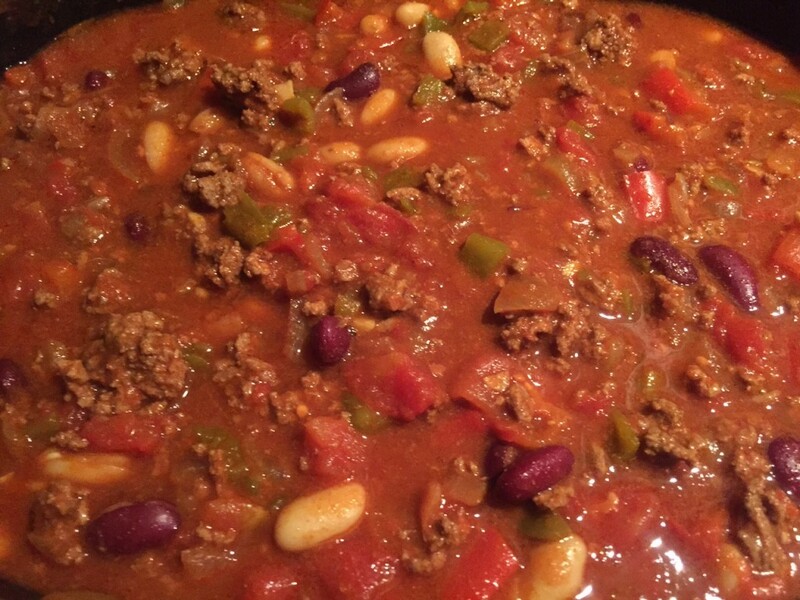 We love a good chili at our house. This time I wanted to get all the prep done and let it sit in a crock pot all day for two reasons: I wanted most of the clean up out of the way early and I wanted my house to smell good for several hours. Found this recipe by Christine Gallary from Chowhound. Got a pic of the final product, though my final product didn’t have sour cream and shredded cheese on it like my hubby’s did.